Disney Pixar's hit Finding Nemo gets the Pop! Vinyl treatment! Your favorite fun and funny underwater creatures from the film are stylized in the adorable Pop! Vinyl stylization. 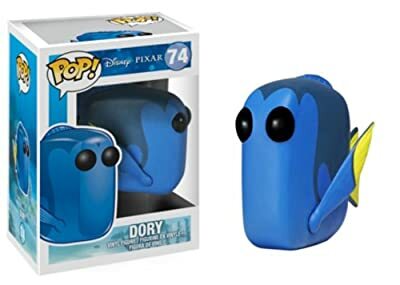 The Finding Nemo Dory Disney Pop! Vinyl Figure has the dopey Pacific regal blue tang fish we've all come to love!